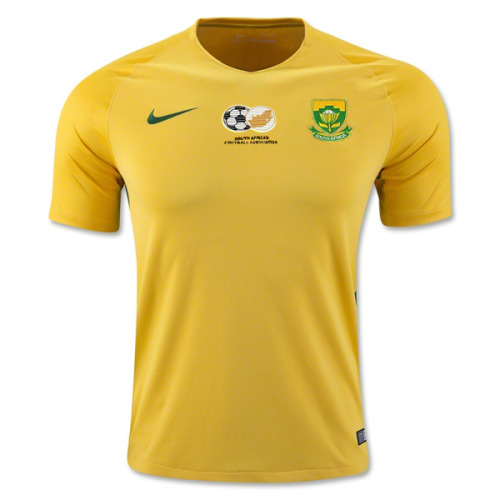 The South Africa national football team represents South Africa in association football and is controlled by the South African Football Association, the governing body for football in South Africa. South Africa's home ground is FNB Stadium, so named due to a naming rights deal, in Johannesburg. The team's current head coach is Gordon Igesund. They returned to the world stage in 1992, after years of being banned from FIFA due to the apartheid system. In 2010, South Africa became the first African nation to host the FIFA World Cup when it hosted the 19th FIFA World Cup in June and July 2010. The team's Siphiwe Tshabalala was also the first person to score in this World Cup during the opening game against Mexico. Despite defeating France 2–1 in their final game of the Group Stage, they failed to progress from the first round of the tournament. In failing to proceed, they became the first host nation to exit in the group stage. They however performed better than other African teams who were representing the continent except for Ghana and Côte d'Ivoire. 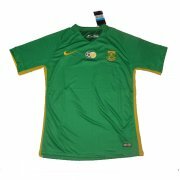 While South Africa automatically had a position in the World Cup final as hosts and therefore did not need to qualify, they did participate in the qualifying process as this doubled-up as qualification for the African Cup of Nations in 2010. As it transpired, 'Bafana Bafana' failed to get past the first round of qualification and as such missed out on a Nations Cup berth, meaning they would not have qualified for the World Cup if they were not the host nation. South Africa hosted the FIFA Confederations Cup in 2009. The team's highest achievement was winning the African Cup of Nations at home in 1996, a tournament they also participated in the qualifying rounds for despite being the host nation, although they were selected as hosts after their qualification began, forcing them to withdraw.